The past year at Sisense has definitely been busy: among other things, we had a huge version release, continued growing at breakneck speed, and saw hundreds of new companies join the Sisense family. But amidst this hectic ride, in 2015 we also introduced a new way to get up close and personal with our customer base: a series of local events, spanning 3 continents, known as Sisense Connect. During these events I had the chance to meet our customers in person. It was exhilarating to meet such a large and diverse group: top business executives, data scientists and data analysts from the four corners of the world: New York, San Francisco, Munich, London, Dubai, Tel Aviv, Moscow – and the list goes on. Now that the year is over, it’s time to look back at what we learned from these interactions. Sisense develops and sells business intelligence software to companies that want to start using their complex data more effectively. When you think of data-driven companies, you typically think Amazon or Google. So it was great to witness how some of our most enthusiastic clients actually come from very traditional industries, such as transportation and waste management equipment, and other types of businesses which are not usually considered to be the archetype of new technology adopters. Of course, the fact that business analytics is no longer limited to fast-paced tech companies and is rapidly gaining traction across the more old-school industries is nothing new – but seeing it in person really gives you new perspective into the meaning of terms such as “self-service BI”. When you hear actual testimonials about completely non-technical users – such as one person who had spent most of his career as a forklift operator – using a sophisticated BI tool and actually enjoying themselves while doing so, you realize how pervasive business technology has actually become. Another commonly held belief about enterprise software tools is that customers consider it a given that the software will come at a certain level of complication and a steep learning curve for more advanced use cases. To wit, most medium to large organizations will hire at least one “specialist” just for the day-to-day operations of each of their more crucial systems, including BI, CRM, and ERP among others. In this state of affairs, one might assume that ease of use or fast deployment is less crucial to these types of companies. However, that is far from being the case: a topic that came up again and again in each and every one of these events was how important is was for clients to be able to get up and running fast. The fact that they could do great things with Sisense without dedicated IT or DBA work turned out to be one of the most crucial points in their decision to purchase. For example, Regenersis had planned out three months for deploying their BI solution – they were absolutely thrilled to see it actually happen in three days. Another company in the online trading industry also got up and running extremely fast and managed to surpass its ROI within a mere seven weeks of deployment. These are not “nice-to-haves” — but a major contributing factor to these companies’ decision to stay with Sisense. Even Fortune 500 enterprise clients, that have access to any technology and tool on the market and all the resources and manpower needed to use them, talked about the advantages of finally having an agile tool that they can use to reach quick insights. We’re not saying this (only) in order to toot our own horn: there is a takeaway for software developers here, and that takeaway is simple: even when your product is intended for sophisticated audiences – ease of use matters, a lot. Each event consisted of a few lectures, a panel and time for open discussion, in addition to a coffee break networking session. 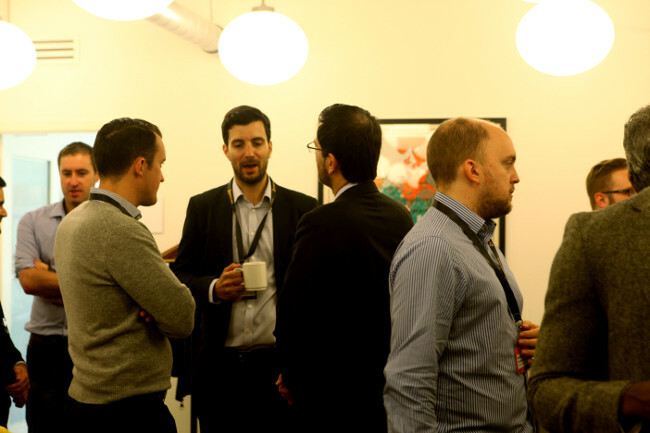 By far, the networking was the most popular part: Sisense users sharing their experiences, use cases, tips and tricks, and connecting with other business intelligence professionals from a wide variety of industries. Seeing these great interactions between our customers strengthened our resolve to continue developing the Sisense Community, both on and offline, and to keep it vibrant, active and, well… connected. This means not just more events, but also to further invest in our forums, developers’ hub and community, and to connect more users to the people who can help them achieve their goals – inside and outside of Sisense. All in all, meeting our customers face-to-face was an amazing experience for us, and has given us a much more complete outlook. 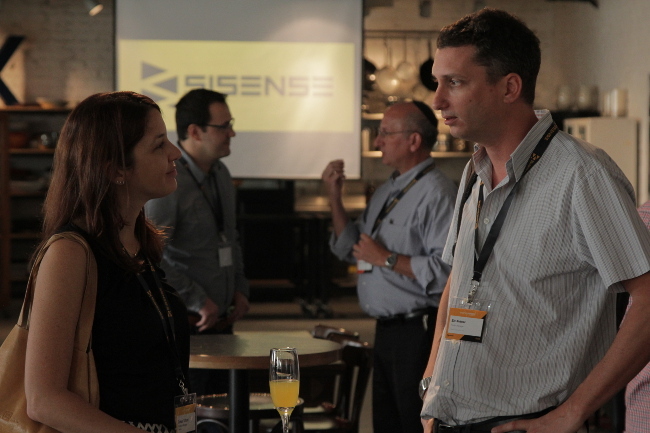 We’ll definitely be seeing more Sisense Connect events in 2016, to continue learning from our customers and hopefully also convey some of our knowledge back to them. I would like to use this opportunity to thank all participants, and to wish you – and the rest of our readers – happy holidays and an awesome new year from all of us here at Sisense. Discover how we can help your business meet its goals in 2016 with next-gen business intelligence software. Visit our homepage to learn more.